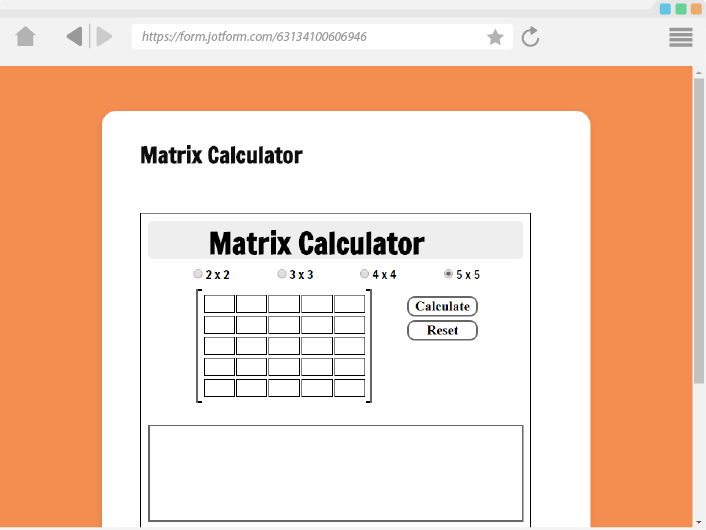 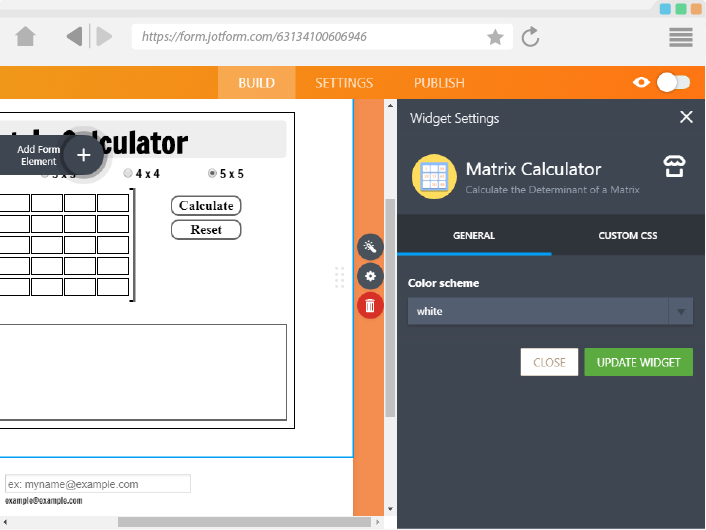 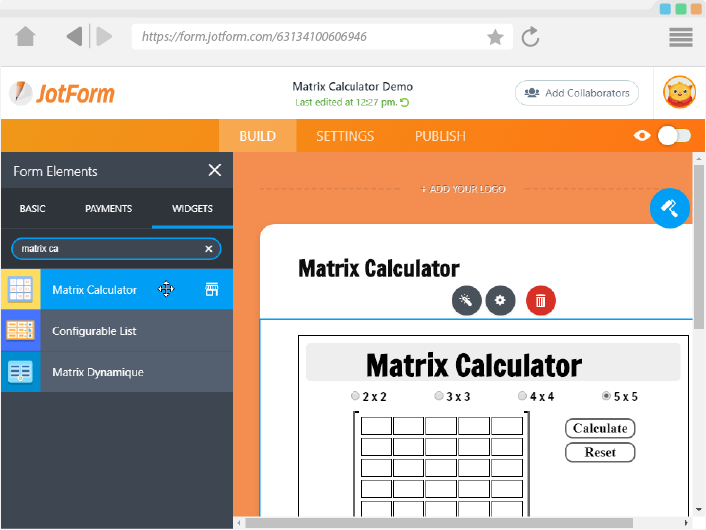 This widget add a cool matrix calculator to your form that helps you calculate the determinant of a square matrix. The process of calculating the matrix determinant will be shown in the result box. A matrix determinant will help you define matrices of coefficients for linear equations, or in a linear transformation to a vector space, or even in calculus when demonstrating the substitution rule.